1. All planned releases of radioactive gases or liquids, no matter what level of radioactivity, will be announced to surrounding communities prior to the release. 2. All radioactive releases will be monitored in detail and the data from those releases including quantity of all radionuclides, wind direction and duration of releases will be published online. The amount of current releases and a running lifetime reactor release total will be published online. 3. The monitoring of all Nuclear Power Plants will be done by an independent qualified group of scientists not associated with any existing Nuclear Power facility or the NRC. 4. Through constant monitoring all accidental releases and leaks will be gauged and published within 12 hours of discovery. Reactors will be shut down until source of leak or accidental release is identified and remedied. 5. The Board of Directors and CEOs of all Nuclear Power Plants shall be required to live onsite. They will remain in residence as long as existing reactors and or radioactive materials remain onsite. 6. The corporations and shareholders who own Nuclear Power Plants will be liable for any damages to the health, property or the economy of communities affected by Nuclear Power Plant accidents. 7. Any accidents, leaks, spills or other potential radiation spreading event, when preceded by the falsification of documents by the Nuclear Power Plant in question, will result in immediate criminal charges. The CEO and involved staff will be charged. Conviction will result in a mandatory minimum 5 year jail sentence. 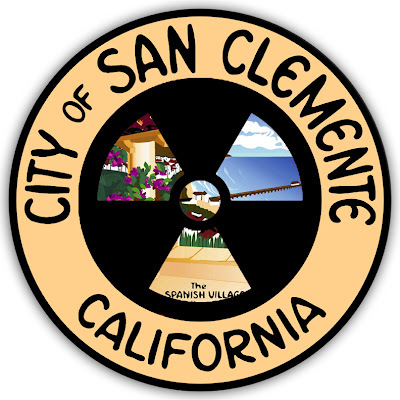 San Clemente To Celebrate The 4th With Fireworks!